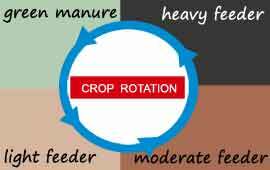 Crop rotation means changing what you grow each year. 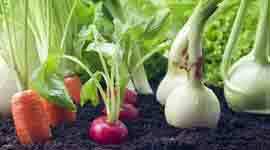 Apart from a few exceptions, you should change the location where you grow most types of vegetables every year. This helps to prevent pests and to prevent particular nutrients from being exhausted. 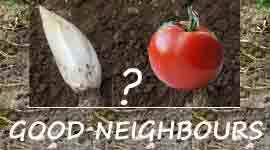 Good neighbours help one another in fighting pests and diseases and help one another to flourish. It is important to plan what you grow for a successful harvest in your vegetable garden This includes a diagram showing the shape of your garden and your choice of vegetables as well as working out the spacing of the rows and then specifying the size of your beds.